I took every possibility to center, but still my text is not centered. Why ? Because this text is not a path. It is a pure text. If you want to keep text a text, you have to scale the text box. To be centered horizontally and vertically, you must convert to path. Thanks for the reply as always! 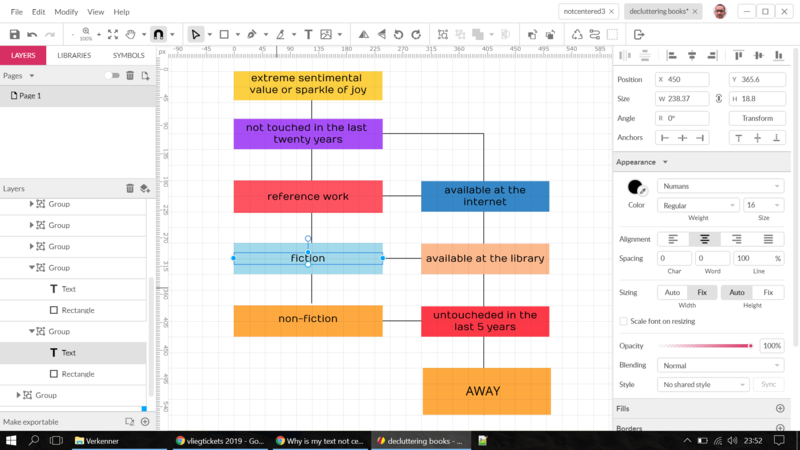 So illogic for me who made flow diagrames in word and powerpoint etc. 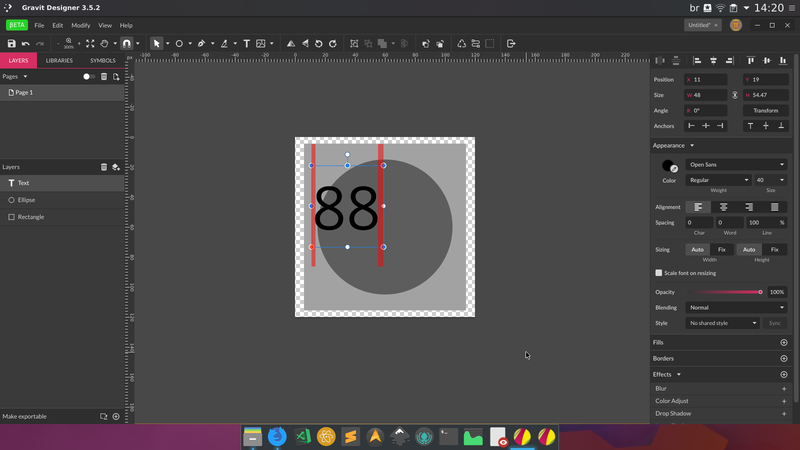 I wanted to make a standard thing what I can duplicate and that the text is automatically centered whether it is 1 or 2 numbers. Group numbers and ellipse, apply drop shadow. Inside the group, select the numbers, look at “Sizing” at the left, select “Auto” in both width and height, it will resize automatically. If it is not what you expect, leave “Fixed” and select the blue lines with nodes to resize. Inside the group, select the numbers and ellipse, and not the group. If converted to path, and you want to split the numbers. 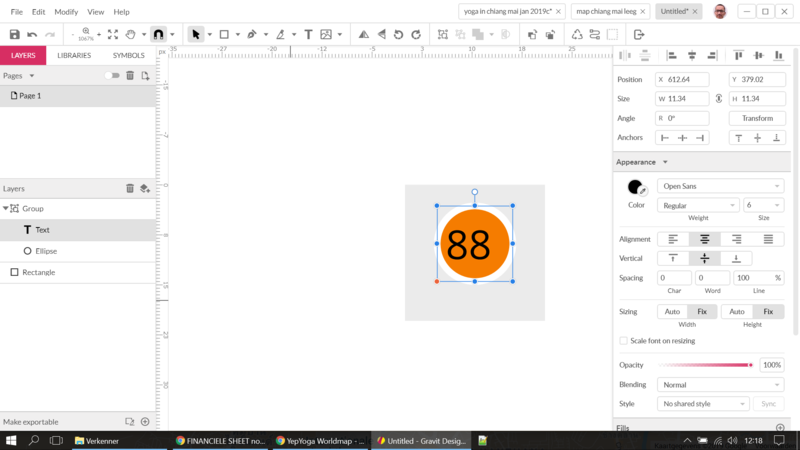 Group splitted numbers and ellipse, apply drop shadow. Inside the group, group the numbers, select the grouped numbers and ellipse. 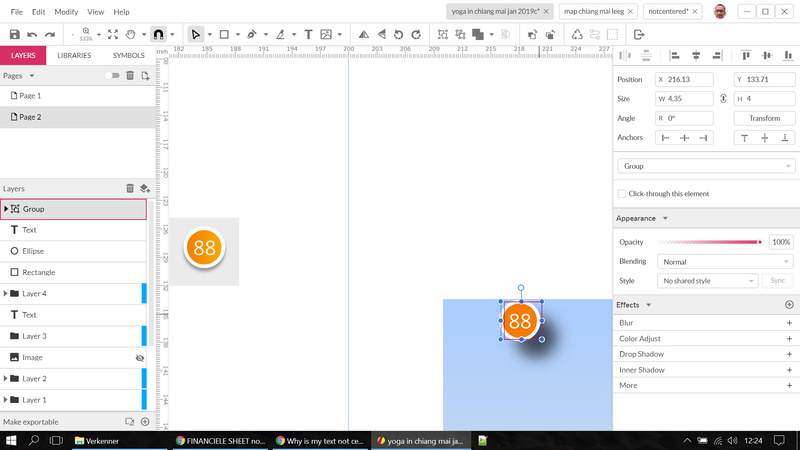 Select the option of eye of drop shadow to hide and centre them. Then turn on the eye option. 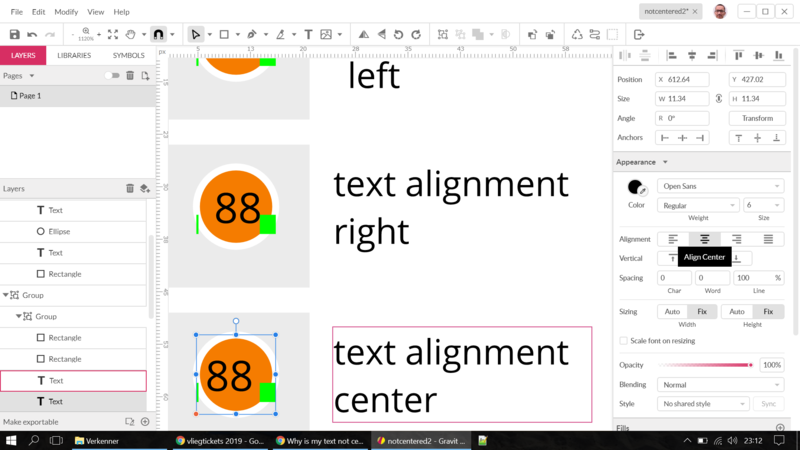 I´d call it a bug: Align Center should do what it says. It’s more an error in the padding of the textelement. Align Center means what? All other vector drawing+design apps I have do make a corresponding bounding box around centred text - not so Gravit Designer. It is why the text is not a path. 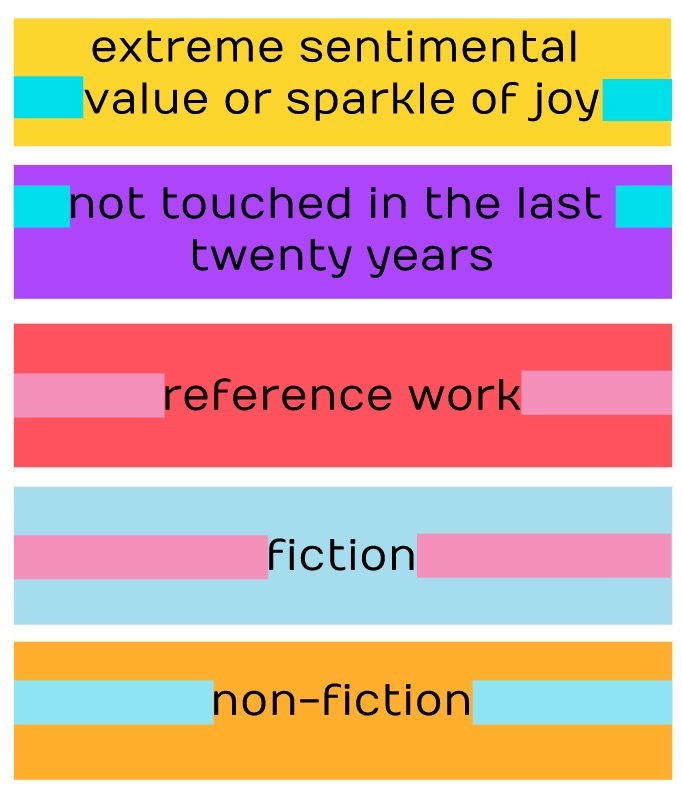 You have to resize the blue lines of a non-path text. Watch the video. Exactly, I do it always too. It is exactly why you had to resize the blue lines of text box to the rectangle. 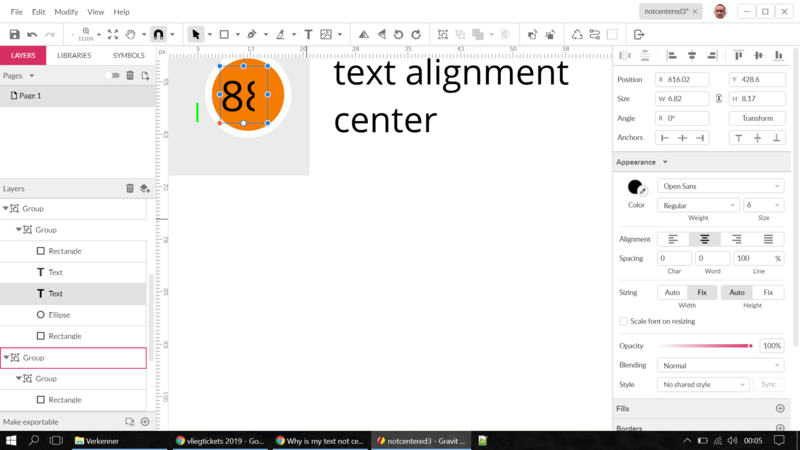 You also can resize the height of text box to the height of a rectangle. 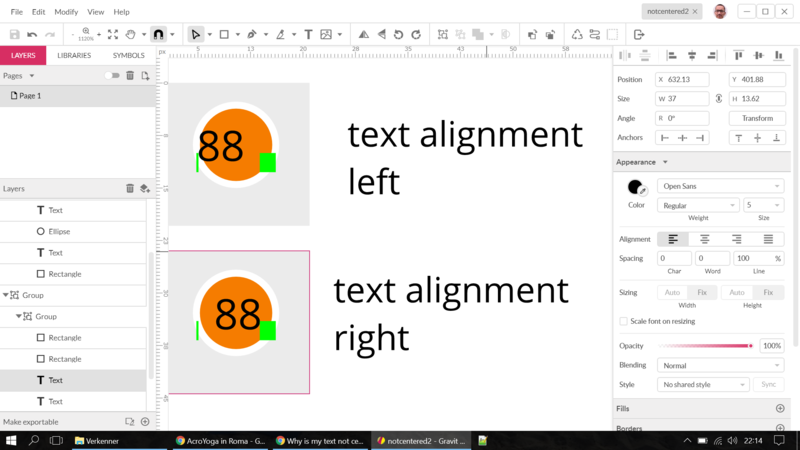 With the height and width resized, the text is automatically centered. Ah, did you try to select all the text boxes and resize all?